Barred from the sea and facing a political marriage, Nile masquerades as a common sailor on the first ship she can find. 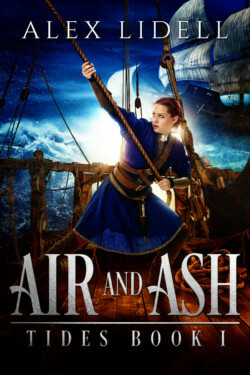 With a cowardly captain, incompetent crew, and a cruel, too-handsome first officer intent on making her life a living hell, Nile must hide her identity while trying to turn the sorry frigate battleworthy. Worse, a terrifying and forbidden magic now tingles in Nile’s blood. If anyone catches wind of who Nile is or what she can do, her life is over.